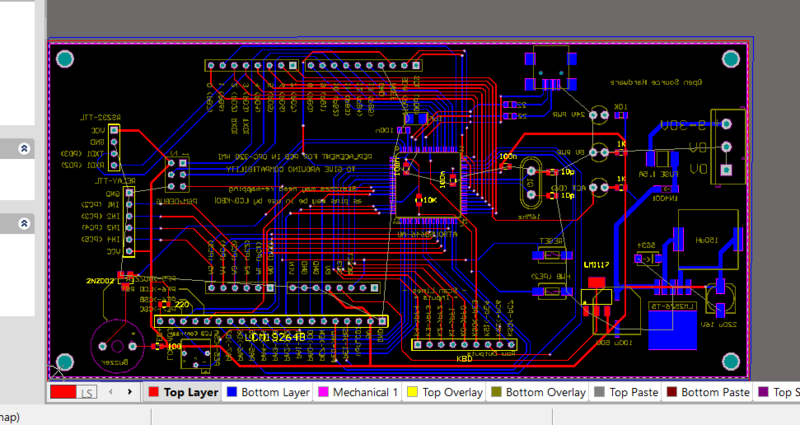 EasyEDA support exporting the schematics and PCB in Altium Designer format. 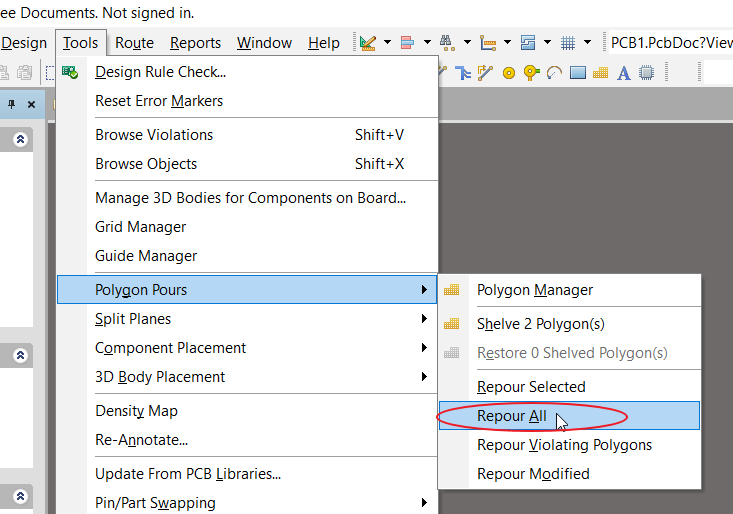 The “export to Altium” function is beta now, Please check carefully after exported the design to Altium, We cannot guarantee that is no errors!!! If you want to order the PCB please generate the Gerber instead of exporting to Altium! Please do not export your design to Alitum and import it again and again, that will cause some detail missing!!! If you find out some incorrect detail, please contact us to fix. EasyEDA support exporting the schematics in Altium Designer format. Via “Documents > Export > Altium…”, and click the “Download now” you will get a .schdoc file. 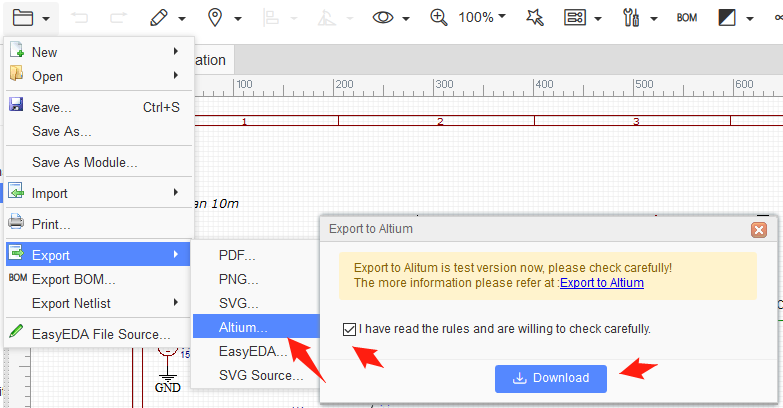 EasyEDA don’t support to export the schematic libraries in Altium Designer format, but you can place the schematic libraries to the schematic, and export that in Altium Designer format, and then extract them at Altium Designer. 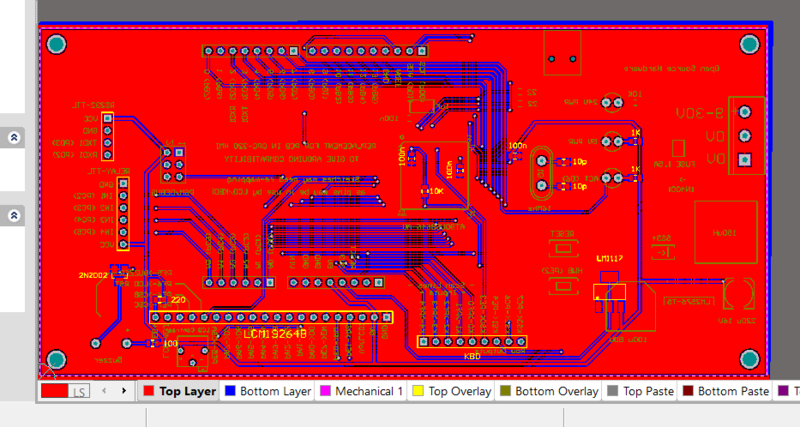 EasyEDA support exporting the PCB in Altium Designer format. Via “Documents > Export > Altium…”. 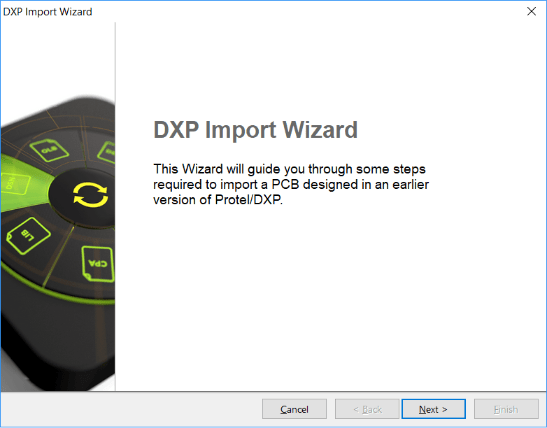 When open the exported PCB file at Altium Designer, there will open a dialog of DXP Import Wizard, don’t worry, just cancel it to continue. And the last, save it. 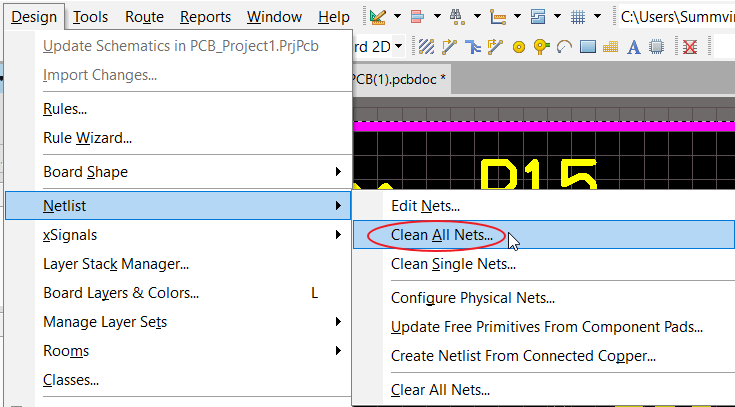 EasyEDA don’t support to export the PCB libraries in Altium Designer format, but you can place the PCB libraries to the PCB, and export that in Altium Designer format, and then extract them at Altium Designer.